– Foxboro trailed by just two goals after two periods but Franklin put the game away with three third period goals. CJ Spillane, TJ Durkin, Dan Magazu, Shane McCaffrey, Joe Lizotte and Scott Elliot each scored once for the Panthers while Josh Bertumen scored for Foxboro in the second period. – Franklin junior Mia Lizotte won the All Around with a 35.75 while teammate Liz Traphagen took second with a 34.3 to help the Panthers beat King Philip. Franklin results: Vault – Lizotte 9.35, Traphagen 8.6, Lexi Lupien 8.3, Rachel Cyr 8.2; Bars – Lizotte 8.5, Sadie Rondeau 8.1, Traphagen 7.9, Katelyn Guidi 6.0; Beam – Lizzote/Traphagen 8.7, Rondeau 8.5, Lupien 7.9; Floor – Lizotte 9.2, Traphagen 9.1, Rondeau 8.3, Lupien 7.8. 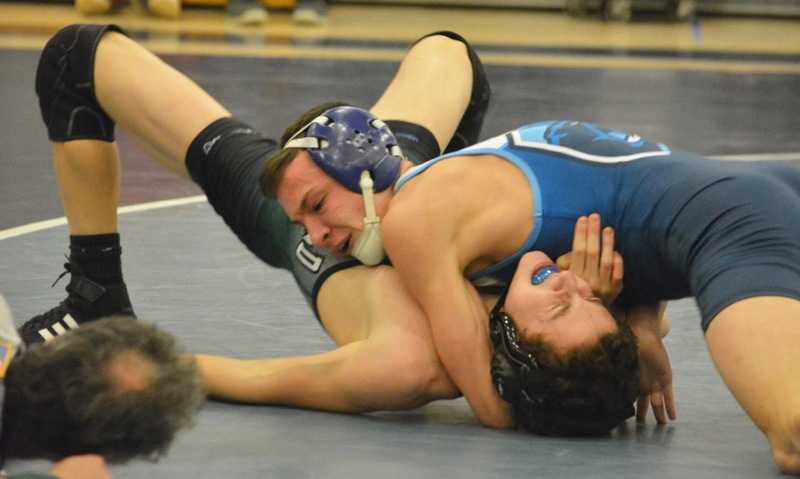 "In the end, Franklin walked away with a comfortable 22-point win and at least a share of the its second straight Kelley-Rex division dual meet title, but this was anything but an easy Wednesday night on the mat for the perennial Hockomock League power. Jake Carlucci got the meet off to a great start for the Panthers with a pin at 106 pounds and a quick six points. Franklin would get pins in three of the first four matches, but it was not straightforward for the Panthers."